Bill O’Reily is the host of The O’Reilly Factor, which is the #1 rated cable news show. He has authored 15 books, including several that have made it to #1 on the New York Times Best Seller List. 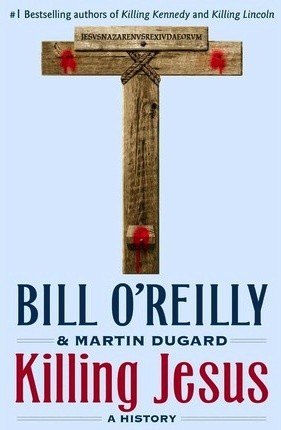 This book, Killing Jesus: A History, was written with Martin Dugard. Released on September 24th, 2013, the book debuted at #1 on Amazon and on the New York Times Best Sellers List. The book was researched exhaustively and provides a historical look at the life and death of Jesus of Nazareth. 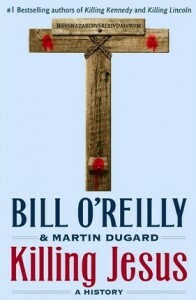 O’Reily, who is a Catholic, has been criticized by evangelicals and non-believers alike for this book. 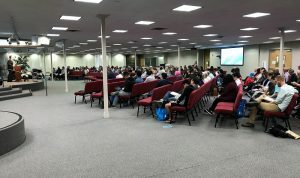 Some evangelicals take exception to the book because the author adds to Scripture by using non-canonical sources to discuss Jesus’ earthly life. Non-believers argue that O’Reily, as a believer in Christ, can’t be neutral on the topic of his life. This is not a Christian book. If Christians are going into the book seeking a better understanding of Scripture, they will be disappointed. This book is a historical book and has been researched extensively. The authors use the Bible, secular writings and writings of those who opposed Jesus to provide a neutral view of the historical figure of Jesus. Jesus is the most influential and polarizing person in the history of the world. O’Reily is focused on his historicity. O’Reily tells us that Jesus never wrote a book, composed a song, or put paint on canvas. But two thousand years after his death, after his message has spread to billions of people, more books have been written about his life, more songs sung in his honor, and more works of art created in his name than for any other man in the history of the world. Both Christians and non-believers will find content in this book to be offensive. The authors do not intend this book to be a Christian book and it is not. As a historical book Killing Jesus has components that are not kind to the adherents to Christianity. It does not blindly support the views of the Christian faith. Killing Jesus is not a candidate to be read as a book study in a church, nor should it be read to better understand the faith of Christianity. It is a good historical look at Jesus and provides an exhaustive look at the political, cultural and religious conditions of the time. It is a good read to help everyone better understand the historical implications of Jesus the man and those around him who opposed and supported him.